Another beloved TV series has been added to the ever-growing list of axed Netflix originals, and we have to say, this one hurts a lot. Pour yourself a goblet-sized glass of Pinot Noir and take a seat because we’re sorry to report that Unbreakable Kimmy Schmidt is supposedly coming to an end after its upcoming fourth season. But before we say, “Troll the respawn, Jeremy,” to the critically acclaimed comedy forever, it appears Netflix and Universal Television are exploring the possibility of making a movie to serve as a series finale. The series stars Ellie Kemper as the titular Kimmy, an eternal optimist who moves to New York after being held captive in a doomsday cult for 15 years. Helping her adjust to city life — and occasionally getting her into wild shenanigans — are her roommate Titus Andromedon (Tituss Burgess), landlord Lillian (Carol Kane), and former boss Jacqueline Voorhees (Jane Krakowski). While saying goodbye to the beloved series is going to be pretty difficult, Kimmy’s come a long way since stepping out of the bunker in the pilot. In Season 4 — of which the first six episodes will begin streaming at the end of May — Kimmy is beginning her job as HR manager of a hot new startup, Giztoob. Meanwhile, Titus’s (and Jacqueline’s) attempts to get Mikey back at the end of Season 3 may have backfired, but we’re holding out hope for the adorable pair. 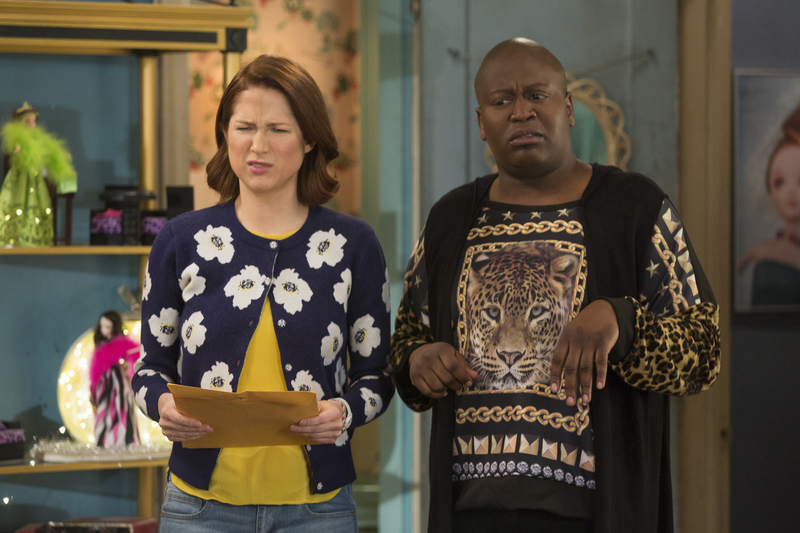 Season 4 of the hit series is currently in production, so it doesn’t look like Kimmy Schmidt will be leaving us hanging when we’re forced to say goodbye to our favorite characters. Deadline, which first broke the news, also reported that series creators Tina Fey and Robert Carlock would write the potential series finale movie after production on Season 4 ends. Knowing Season 4 is going to be the last is devastating, but we can’t wait to see the first half of the season when it drops on Netflix on May 30th. The second half of Season 4 is slated to be released sometime later this year.